The last few days we had wonderful weather all weekend. The sun seemed to bring out lots of garage and estate sales. We found so many great pieces that we had to break them up into 3 posts. The items we found on Friday and Saturday can be seen in our last two previous posts. Here are a few highlights from this weekend. It has been a while since we bought many smalls. Heather helped out by picking up these great pieces. On Friday night I found an Eames replica lounge chair & ottoman project piece. 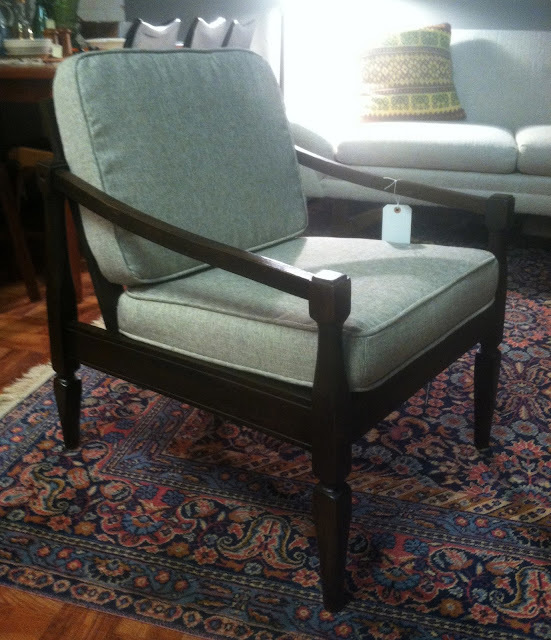 We found and upholstered this chair on Friday. 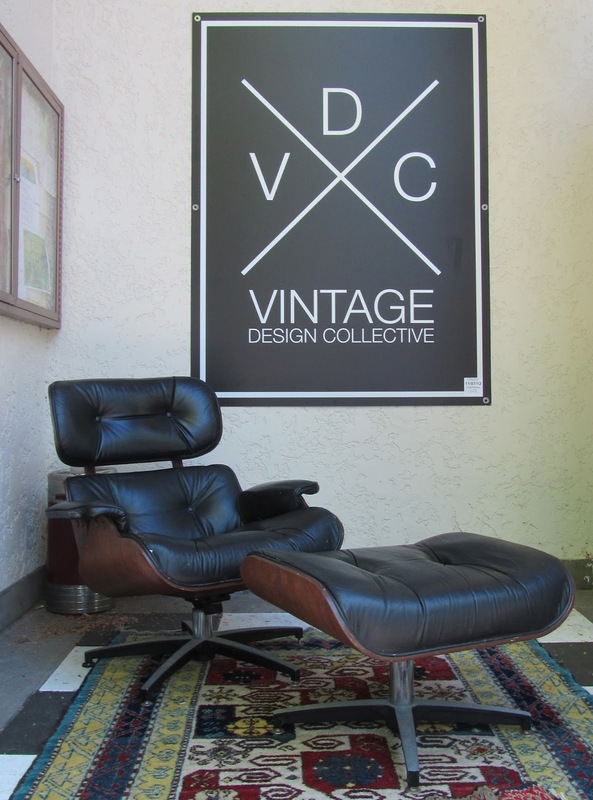 It sold at Hawthorne Vintage on Saturday morning. This mid century credenza is now at Hawthorne Vintage for $475. Your nesting tables are amazing, great find. Thanks for hosting. Have a great week. 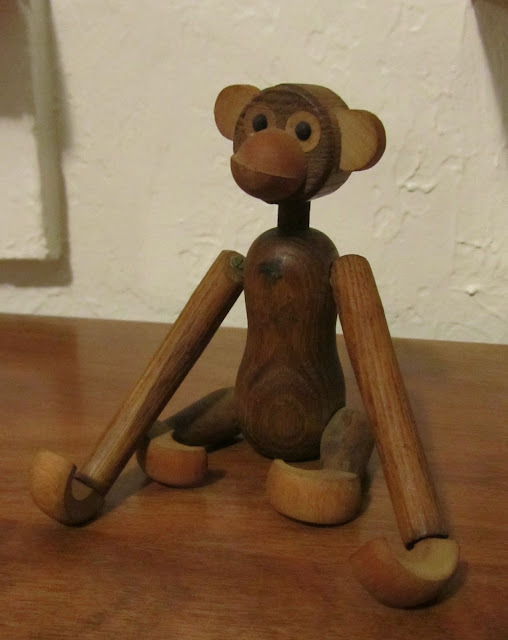 Love that little monkey!!! Great finds! 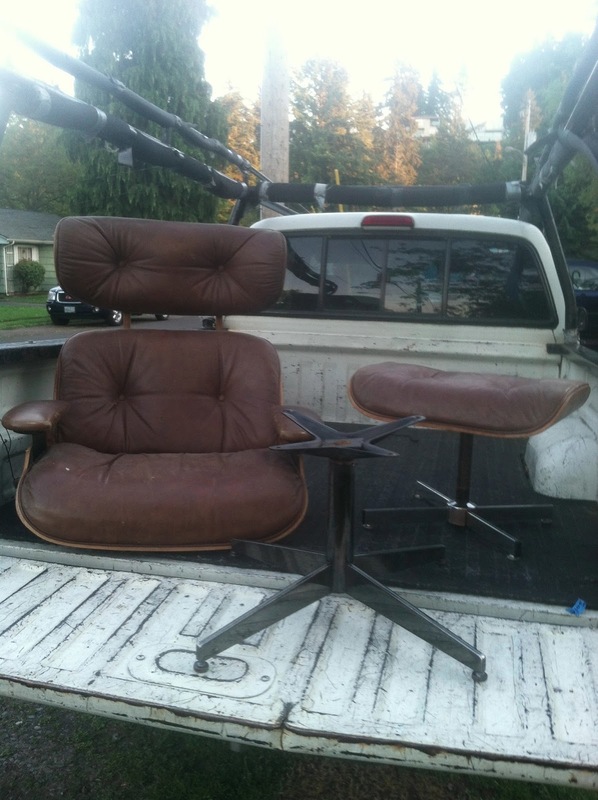 Can't wait to see your after photos of the replica Eames and ottoman :). The colour in the nesting tables is fab. Love the monkey! And that upholstered chair! Thanks for the link up, lots of fun!